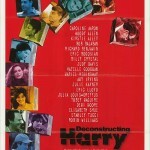 ‘Deconstructing Harry‘ is the 27th film written and directed by Woody Allen. 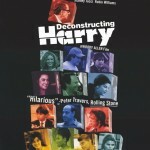 Deconstructing Harry is one of Allen’s harshest films. Prostitution, kidnapping, infidelity, betrayal. 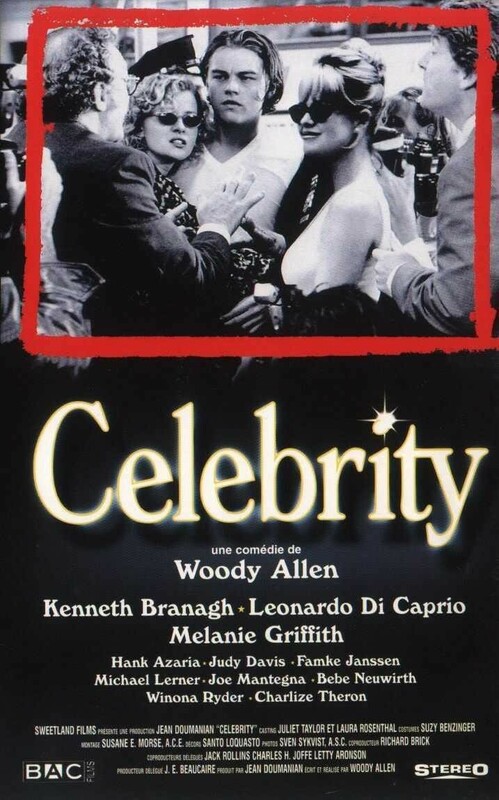 Ironically, this is his first film after his deal with the cutting edge Miramax. There’s even casual use of the “c” word. But that harsh surface obscures some pretty astute comedy. But that comedy also covers up a by-the-numbers story. 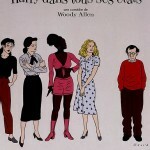 Woody Allen stars as Harry Block, a writer who is accused by the people in his life of using them in his work. Those in his life, many of them women, are also portrayed in their fiction selves. Together they form one of the biggest casts Allen has ever assembled. When Block is honoured at his old school, he goes on a strange journey with his kidnapped son and a prostitute. 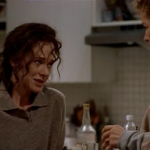 Judy Davis‘s third of five appearances in Allen’s films. She would return for Celebrity and To Rome With Love. 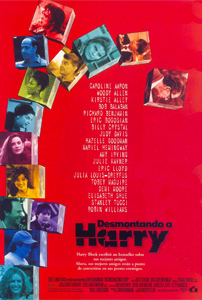 Caroline Aaron‘s third and final film with Allen. Mariel Hemingway‘s second appearance in an Allen film (the first of course being Manhattan). 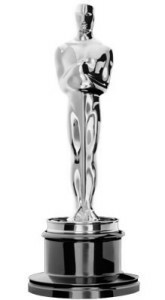 A lot of actors were offered the role of Harry, and all turned it down. 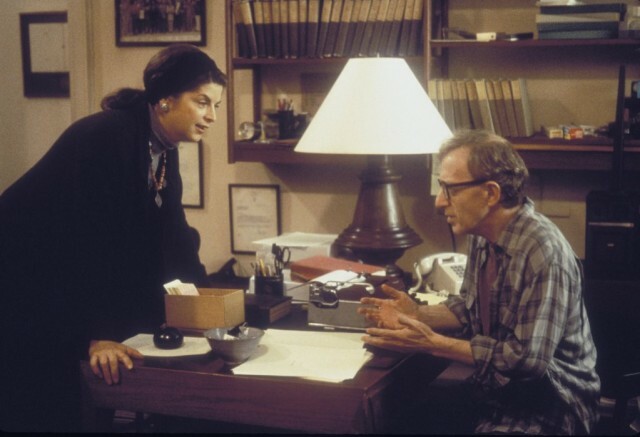 They include Albert Brooks, Elliott Gould, Dustin Hoffman and Dennis Hopper. The plot of the film alludes to Ingmar Bergman‘s ‘Wild Strawberries‘. 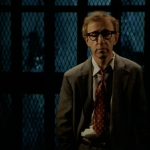 The scene where Allen descends to meet the devil is similar to a scene filmed but ultimately deleted from Annie Hall. Amusing little film in what appears to be an homage to the jump cut style of Goddard. 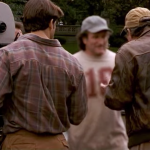 Funny idea to make Robin Williams out of focus. Appreciated his dig at the press as he decends into hell. As usual, he has a strong deep cast which adds to the enjoyment. I’ve become the person I’ve always hated, but I’m happier.